Another check up with no cavities Bruce, great job! Here’s the score sports fans. I love the Hulk. Not Red Hulk with a mustache, or Red She Hulk, or regular She Hulk, or Super Awesome Hulk, I love Bruce Banner Hulk. Banner has been dead for a few years in the Marvel continuity, murdered by Hawkeye for reasons I care not to look up, from a story I cared not to read. When Marvel announced Al Ewing would be resurrecting the character in a new book, I decided to be fiscally responsible, and not add another book to an already too long pull list. Sure I noticed the rad Joe Bennett was on interior art and felt compelled, but I stayed away. Just like Michael Corleone though, they pulled me back in. And by they, I mean folks on the web, in my local comic shop and friends who proclaimed an interesting new take on The Hulk. I broke down and picked up the first 4 issues and read them in a clump. Dammit all, they were really good. British writer Al Ewing, who has worked on The Ultimates for Marvel previously and is a vet of across the pond comic company 2000 A.D. takes the reins here, and comes up with a novel idea. The Hulk cannot die. Blow him up, cut him into a million pieces, whatever method you use to stop The Hulk, he will come back. This also includes in his Bruce Banner form. Banner will stay dead if killed, until night falls, and then old purple pants will rise up again. 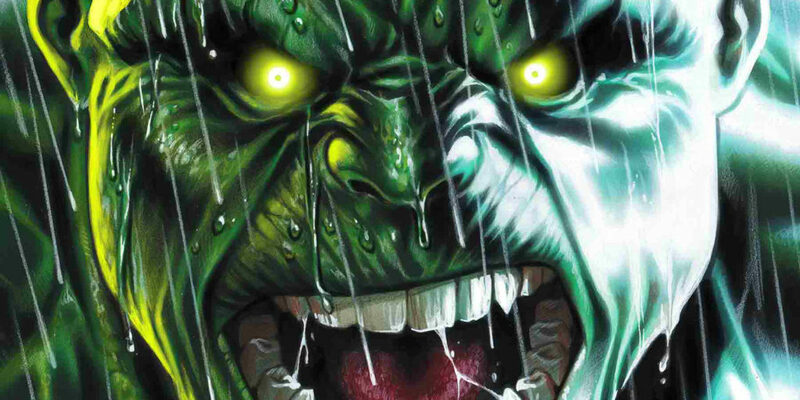 Anger is not so much a trigger for Banner’s transformations in this series, instead as repeated throughout the book, The day is Banner’s but the night belongs to The Hulk. The main plot revolves around a reporter named McGee (Bixby days Son!) who experienced Hulk related trauma as a child chasing the suddenly not dead anymore jade giant across the United States. Cameos from Alpha Flight, The Avengers, Crusher Creel and more are featured, but the real emphasis here is on the jade giant’s journey, as he comes to grips with not only suddenly being immortal, but also seemingly being possessed by his abusive father’s spirit. Artist Joe Bennett keeps his lines very clean, and excels at drawing monstrous characters. 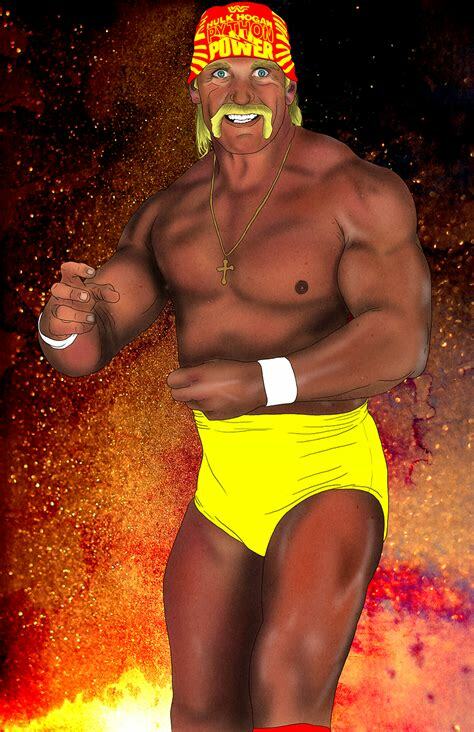 His Hulk is as close to the original version first used upon the characters creation as seen in many years, giant bumpy forehead, bulky body and just a physical freight train. Many artists over the last few years have adapted a more streamlined and less frightening looking version, which works in it’s own right. This Hulk is a monster, through and through, although he is written as having an intelligent psyche, and speaks in full sentences. Sasquatch of Alpha Flight also figures as a key character in some issues and is also rendered as something more likely to be seen in a horror story, a design existing firmly in his cryptid roots. 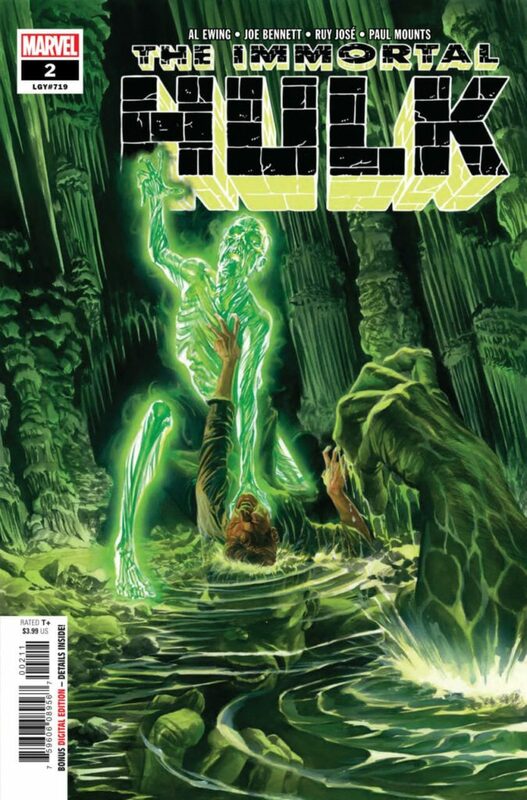 A freelancer named Alex Russ or Ross provides covers for each issue. Hardly memorable. 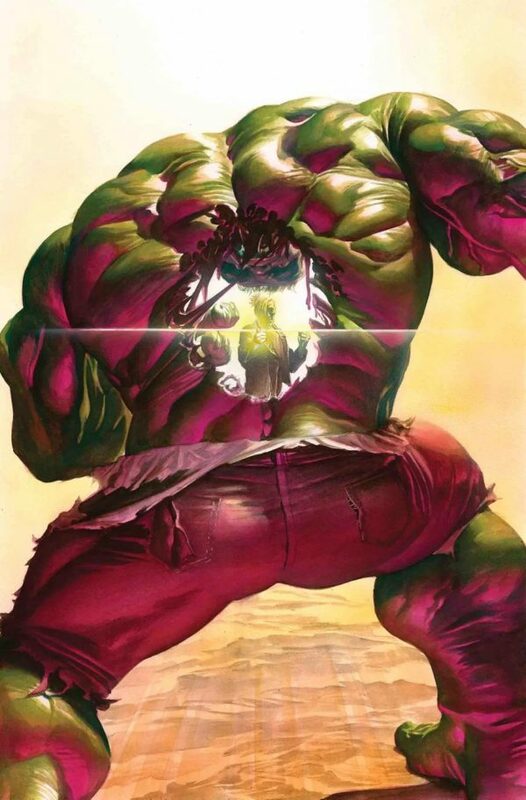 In Summation if you are a fan of The Hulk, you know as well as I do that it seems like he is a harder character for writers to truly crack a great arc on. In recent years Jason Aaron, Greg Pak and Bruce Jones have had some luck with the character, while runs by Jeff Loeb, Gerry Duggan and Peter David have all fell flat. The other half of the equation is how often you actually get to read this version of the character in the actual Hulk title. Jen Walters, Amadeus Cho and Thunderbolt AND Betty Ross have spent as much time headlining this book if not more in recent years than Banner has. So I guess I’m saying don’t sleep on this title while this creative team is on it and putting out hot fire issue by issue. And who knows, maybe if he sticks to it and practices more, this Ross guy will eventually start putting out some quality covers too. Great book, but these covers are just weak.